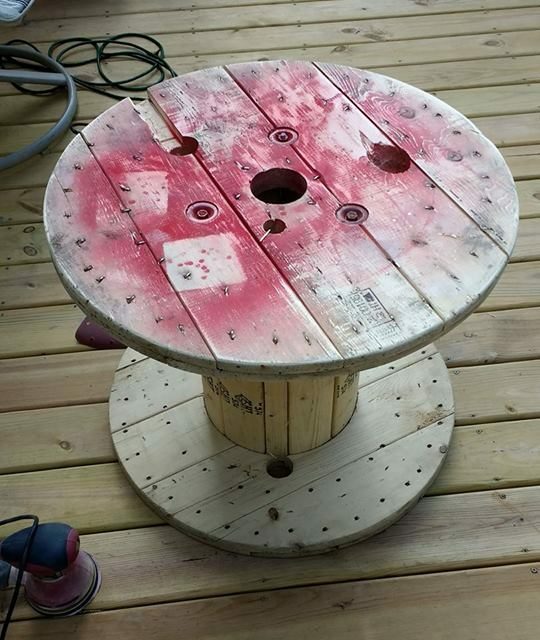 The first thing she did was sand down wooden spool to remove any rough parts. Then she applied a stain using Minwax Gel Stain in Walnut. Elizabeth used a chip brush to apply the gel stain and let it sit over night. 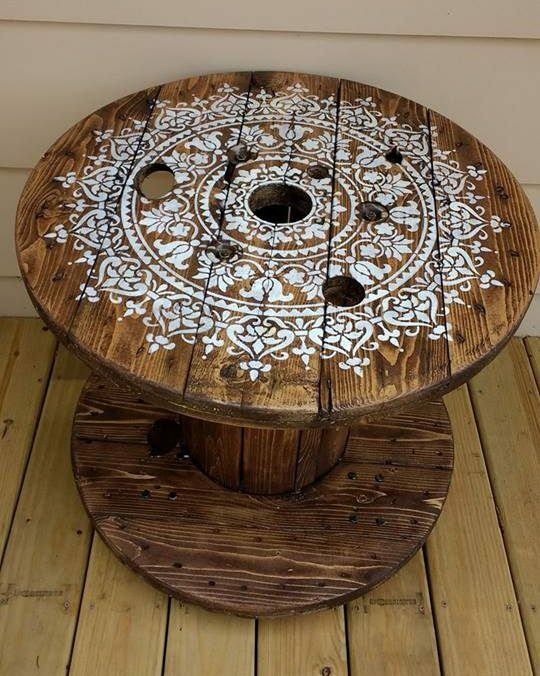 Elizabeth placed the Mandala pattern on the top of the wooden spool. 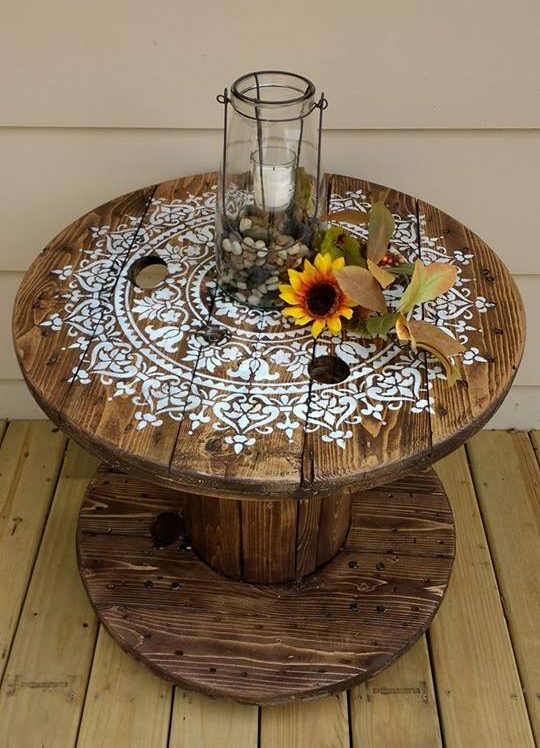 Then she painted the Mandala design in acrylic white craft paint using a stencil brush. 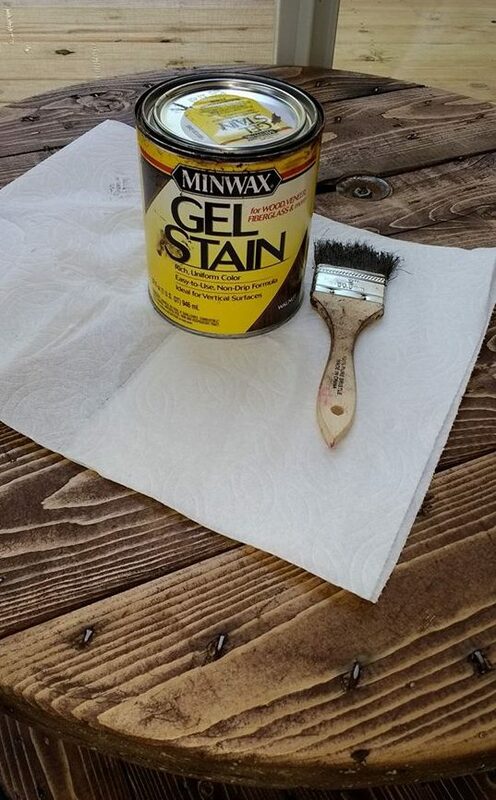 If you are recreating this project at home, be sure to roll off any excess paint on a piece of paper towel. Too much paint will cause the design to bleed. 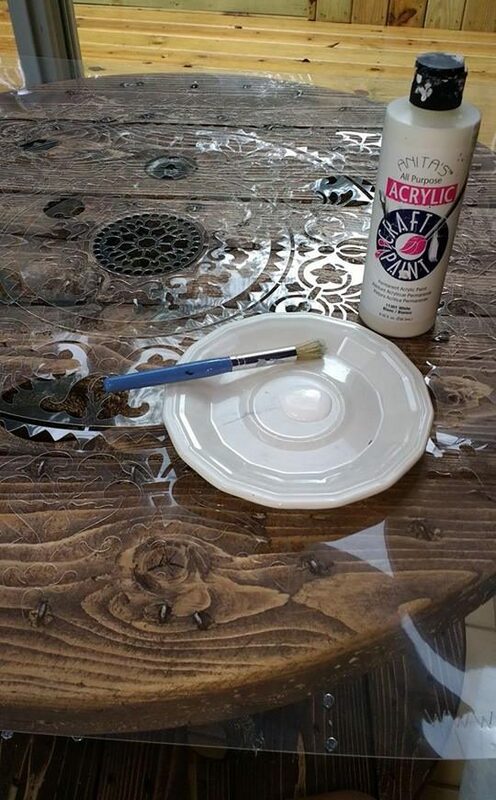 After the stencil was complete, Elizabeth applied a clear coat of Varethane polyurethane. She wanted to protect her pretty Mandala pattern. 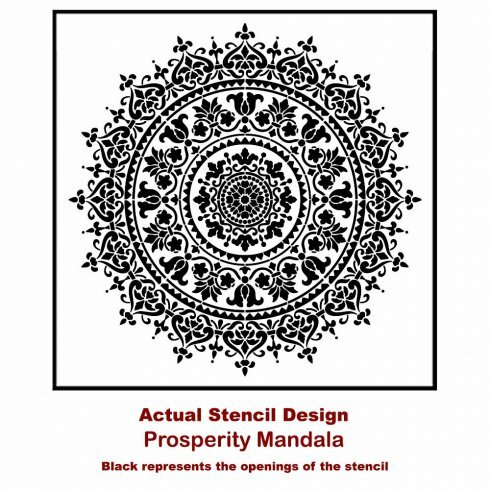 Tell us, where would you use the Prosperity Mandala Stencil in your home? We’d love to read your thoughts in the comments below. Cutting Edge Stencils Instagram Challenge!